This report summarizes a selection of Okanagan Basin water supply and use projections for 2011 to 2040, based on Phase 3 modeling using the Okanagan Basin Water Accounting Model (OBWAM) and its supporting models, the Okanagan Basin Hydrology Model (OBHM) and the Okanagan Water Demand Model (OWDM). In partnership with B.C. 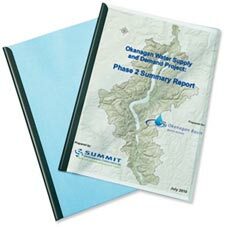 Ministry of Forests, Lands and Natural Resource Operations (MFLNRO), OBWB commissioned this report to develop a plan for an Okanagan water allocation tool, known as the OWAT. 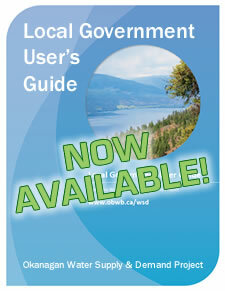 The primary purpose of the tool is to support water licence decisions made by MFLNRO. View the corresponding webpages by clicking the tabs above, or download sections of the Summary Report below, or download the entire report (7Mb PDF). See webpages under “Introduction”. Provides the context for the Phase 2 work. See webpages under “Water Use” and “Data”. 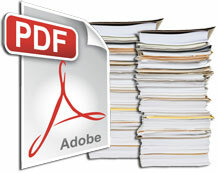 Describes the datasets and databases developed during Phase 2, and summarizes the major technical studies completed during Phase 2. The technical studies provided the foundation for the models developed in Part Three, and are reproduced in their entirety in electronic form in the Appendices. See webpages under “Models”. Summarizes the three models developed during Phase 2: the Okanagan Water Demand Model (OWDM), the Okanagan Basin Hydrology Model (OBHM), and the Okanagan Basin Water Accounting Model (OBWAM). See webpages under “Scenarios” and “Implications for the Future”. Describes the outcomes of the 15 Phase 2 scenarios. See webpages under “Key Findings”. Lists the major findings and recommendations of Phase 2, and recommends next steps for subsequent phases of the Water Supply and Demand project. In 2005, the first phase of the project identified what data and information were available. Looking for more detail? Delve into the Okanagan Water Science Library, a searchable digital document database of water-related information compiled, studied and acquired about the Okanagan Basin. Search by keyword or browse by topic below, or perform an Advanced Search (opens in new window).